In early 2011 I devoted two months to covering the referendum on the independence of South Sudan from the north and the government’s efforts to set up the apparatus for the new state. The referendum vote returned an overwhelming result in favour of independence, and the Republic of South Sudan was formally created on 9th July 2011. 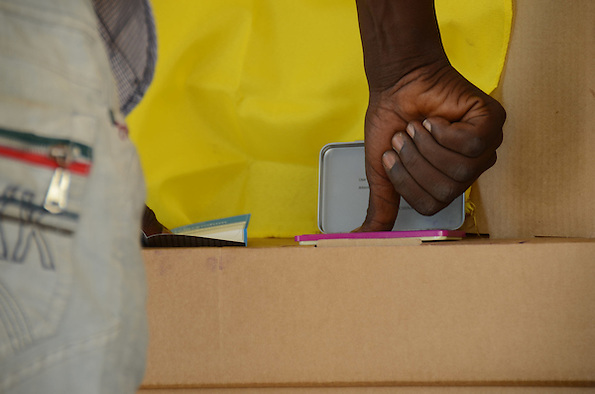 Voting was considered free and fair by international organisations, who were involved in monitoring the polls. The excitement among South Sudanese at the prospect of independence was palpable. When the interim results of the referendum were announced by President Salva Kiir, they were followed by joyous celebrations in John Garang park. South Sudan independence celebrations, John Garang Memorial Park, 30 January 2011 from Richard Nield on Vimeo. In the lead up to the referendum, hundreds of thousands of South Sudanese returned to the country from the north. In Juba, thousands returned by cramped cargo boat on a two-week-long journey up the Nile from the northern town of Kosti. On arrival in Juba, they had to camp among their possessions while they awaited onward transport to their tribal lands. In Unity state, returnees who had journeyed for weeks by road from the north found on their arrival at Bentiu that security issues and weather conditions left them unable to make the onward journey to their homelands in Mayom county. Forced to shelter in a primary school, when I met them they told me that their food rations from the World Food Programme (WFP) had long run out. The next day, I heard from senior NGO representatives in the town that WFP staff had been threatened by the frustrated and hungry returnees. Coping with the continued flow of returnees is just one of a huge number of challenges still faced by South Sudan. A failed state from the moment it was created, the country is confronted with issues ranging from an almost total lack of infrastructure to conflict with the north. Fighting in the border region of the two Sudans has severely hampered the early months of the south’s new life. Critically, there is still no agreement on how the revenues from oil resources, which are largely located in the south but have to be exported via Port Sudan in the north, are to be divided. Khartoum has meanwhile stoked conflict in the border states of Abyei, South Kordofan and Blue Nile state, all of which have populations that identify themselves with South Sudan to a greater or lesser degree. Abyei was supposed to have a referendum on its own future alongside the vote for separation in January 2011, but a failure to agree who was eligible to vote meant that the polls never went ahead. Popular consultations were held in Blue Nile state and South Kordofan, but there was never any confidence that these would be any more than a fig leaf for the north’s desire to stamp its own authority and identity on these states. The violence and reports of genocide that have followed in the two states have unfortunately shown these fears to have been well-founded. This entry was posted on Saturday, December 24th, 2011 at 10:36 pm. It is filed under Blog, Human rights, South Sudan and tagged with Abyei, Bentiu, Blue Nile, celebrations, human rights, independence, Juba, Juba port, Khartoum, Mayom county, oil, photos, polls, popular consultation, referendum, refugees, returnees, Salva Kiir, South Kordofan, South Sudan, Sub-Saharan Africa, Sudan, Unity state, voting, WFP. You can follow any responses to this entry through the RSS 2.0 feed.